Using the right kind of packing materials could mean the difference between a smooth move and a disastrous one. If you use the right type of materials and do your packing carefully, you can protect your household goods from getting scratched, chipped or ultimately broken. 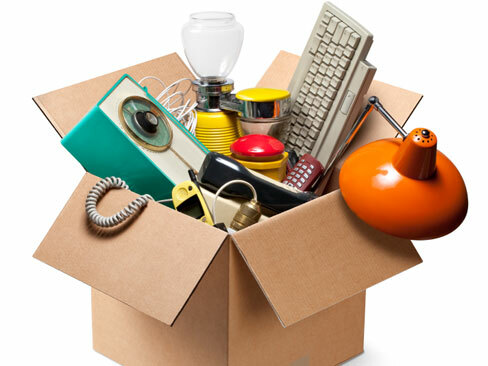 One of the most important factors when it comes to moving and packing are plain and simple- boxes. With so many types of things that need to be shipped and transported, the moving industry has evolved and come up with many different box types for specific needs. Measuring 17 x 123.8 x 123.8 inches, these small and innocent-looking cartons are designed to carry heavy items such as canned goods, small electronic equipment, and of course, its namesake, books. The total volume of this box is 1.5 cubic feet. With space for 2.3 cubic feet of materials, legal totes are specially designed for numerous files and folders. They measure 24 x 16 x 13 inches. Like you may have guessed from its name, this box is used for plate, delicate china, vases or glassware. Dish packs are lined with extra thick walls that are great for fragile items. You can also use cell packs or separators to make individual compartments, if you’re transporting taller pieces like glasses or vases. Dimensions are 5.2 cubic feet, measuring 18 x 18 x 28 inches. This type of box is designed for items that are not fragile. It can even handle moderately heavy items like pots, pans, toys, clothes, linen, and so on. Medium boxes measure 3.0 cubic feet, 101 x 18 x 16 inches. Used for big, bulky articles that are actually light in weight. Great for pillows, comforters and lamp shades. Size is 4.5 cubic feet with dimensions of 23 x 23 x 20. These are flat, narrow boxes which are great for protecting mirrors, paintings and other fragile pieces. Sizes vary depending on size of artwork or glass. This box is great for storing pieces of clothing because it’s equipped with a metal bar that you can hang clothes on. Huge boxes that are used to individually store mattresses. Ask from your neighbours and family members. If you know anyone who’s moved lately or in the past, you can save money by asking them for old boxes. Just make sure to check the quality and condition of the boxes before using them. One man’s trash is another man’s treasure. A lot of establishments don’t know what to do with the delivery boxes that come with their goods. So if you want to save up on boxes, contact the owners or managers of nearby neighbourhood stores and offer to get those boxes off of their hands. Supermarkets and specialty moving supply stores. Make sure to compare the prices from the supermarkets and the one from the moving supply stores so you can find the better deal. Online. You can also use the internet to look for packing materials and boxes. There are a lot of websites out there that are dedicated to selling packing materials, and of course you can always go to Craigslist, Amazon or eBay to look for sellers. As a last note, you should be reminded that there is much more to packing than just the boxes. You also need to stock up on other things like tape, tissue paper fillers, bubble wrap, Styrofoam peanuts, Ziploc bags and magic markers.